The global Air-to-Air Missile (AAM) market is a fiercely competitive one, in which long-established players battle to provide the armament for a diminishing number of different fighters in service with air forces and navies worldwide. While the People’s Republic of China is very active in the development of new-generation air combat weapons, the vast majority of fighters entrust their capabilities to derivatives of AAMs designed during the Cold War. This review discusses the currently available AAMs around the world, and selected future programmes. While Iran, Japan and Taiwan all have active AAM development and production programmes, their limited export prospects mean they have been omitted from this analysis. Rationalisation within the industry means that Raytheon’s missile systems business is now responsible for all AAM production in the US. 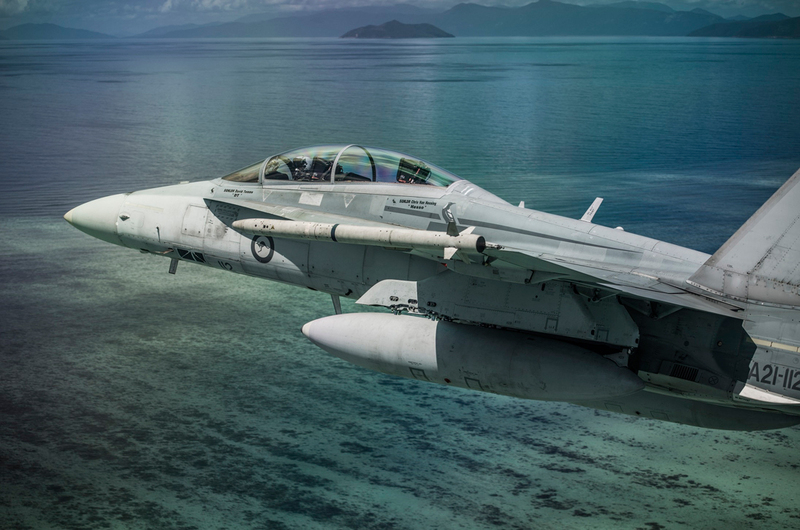 Raytheon’s portfolio includes the short-range AIM-9 Sidewinder family, the design of which dates back to the late 1940s, and the AIM-120 AMRAAM (Advanced Medium-Range Air-to-Air Missile) series optimised for Beyond Visual Range (BVR) engagements. The original design which first entered service in 1956 has been superseded by the advanced AIM-9X, the result of a programme launched in 1997. However, with over 200,000 examples built, ‘legacy’ AIM-9L/M/R AAMs remain in widespread service, and orders continue for new and existing customers. Among the 50 or so operators of these legacy AIM-9 variants, orders have been placed by the Czech Republic, Egypt and Pakistan over the past decade. In September 2010, Iraq requested 200 AIM-9L/M missiles, followed by another similar request in December 2011. In order to provide refurbished and modernised AIM-9L/M missiles, Raytheon teamed up with Diehl Defence of Germany in March 2004, launching an equally split joint venture that has provided missiles to customers including the United Arab Emirates (UAE). Meanwhile, the AIM-9 family continues to find new applications, including the Korea Aerospace Industries (KAI) T-50 lead-in jet trainer, which undertook trials with the weapon in November 2005, although the variant of the AIM-9 that this aircraft could receive has yet to be announced. The AIM-9X represents the fifth generation of the missile, and is a joint US Navy and US Air Force (USAF) programme managed by the former’s Naval Air Systems Command (NAVAIR). As of June 2013, 5000 examples had been delivered, and the USAF and US Navy plan to acquire a total of 5097 and 4937 examples respectively, although no end date for these deliveries has yet been announced. The AIM-9X began to be deployed in late 2003 and the first full-rate production contract of November 2004 was worth $158 million and covered 443 missiles. Recent production contracts include Lot 9 in June 2010, valued at $166.8 million providing 212 AIM-9X Block-I missiles (the baseline production version of the weapon) for the USAF, 55 for the Republic of Korea, plus 100 training rounds. Lot 10, worth $61.8 million, provided 60 AIM-9X Block-II missiles (which features a lock-on-after-launch capability). Lot 11, valued at $61.8 million, provided 115 AIM-9X Block-III missiles, including the first of this version for Foreign Military Sales (FMS) customers. For 2016, the USAF expects accept 240 deliveries of what are expected to be AIM-9X Block-II weapons. Work continues to improve the AIM-9X, and in August 2014, Raytheon received a $44 million research and development contract for AIM-9X Block-II follow-on work which could include improvements to the missiles’ control actuators, a new inertial measuring unit, improved insensitive munitions, hardware development also operational flight software work. The AIM-120 AMRAAM programme was launched in 1975 as a joint USAF and USN study. This active radar BVR weapon entered USAF service in 1991. Production of the initial AIM-120A ended in December 1994, by which time around 3500 missiles had been delivered to the US military alone. The AIM-120C was first test launched in 2003 and was introduced to production with Lot 8. Incremental improvements led to the current AIM-120C-7 standard, fielded in October 2005, which remains in production for FMS customers. In all, 36 countries have acquired the AIM-120C/D, and 14000 missiles had been produced by 2005. Acquisition for the US military continues at a rate of around 250-300 missiles each year. The latest US model is the AIM-120D, equipped with an internal Global Positioning System, enhanced datalink and new software. The AIM-120D achieved Initial Operational Capability (IOC) with the US Navy in April 2015. In the meantime, work continues to improve the AIM-120C-7 via the Advanced Electronic Protection Programme (AEPIP) software upgrade. European missile house MBDA is responsible for a range of AAMs that cover short-range to very long-range applications. The Advanced Short-Range Air-to-Air Missile (ASRAAM) programme was launched in 1980 and originally envisaged development by France, Germany and the United Kingdom, and co-production with the US. 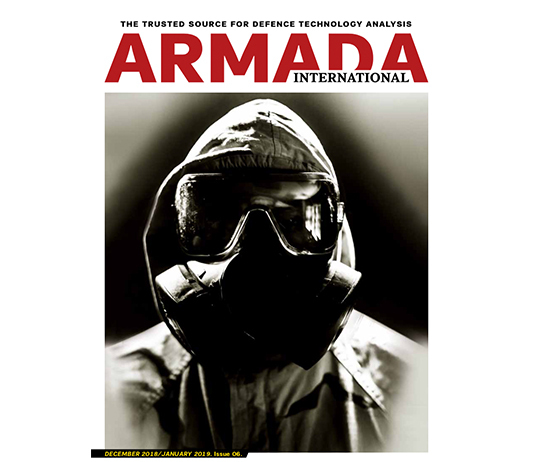 In the event, France, Germany and then the US left the programme, British Aerospace (now BAE Systems) became the prime contractor for the ASRAAM in 1988 with the programme now led by MBDA. To date, three countries have ordered the ASRAAM: the UK government announced a development contract in 1992 and the Royal Air Force (RAF) declared the missile operational in late 2002. Australia selected the ASRAAM in November 1998, and declared IOC (Initial Operating Capability) in September 2004. In July 2014, MBDA inked a $414.5-million deal to supply India with 384 missiles. 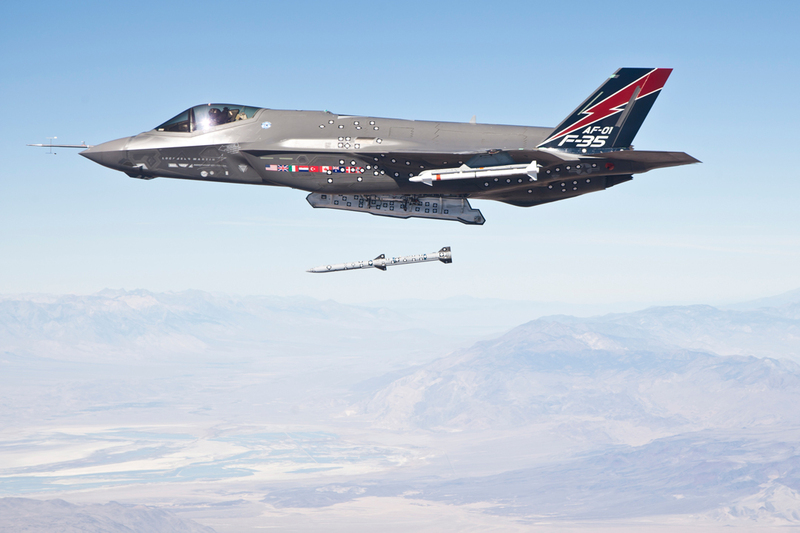 The UK plans to retain the ASRAAM until at least 2030 and intends to integrate the missile with the Lockheed Martin F-35B Lightning-II fighter that it will receive next decade. 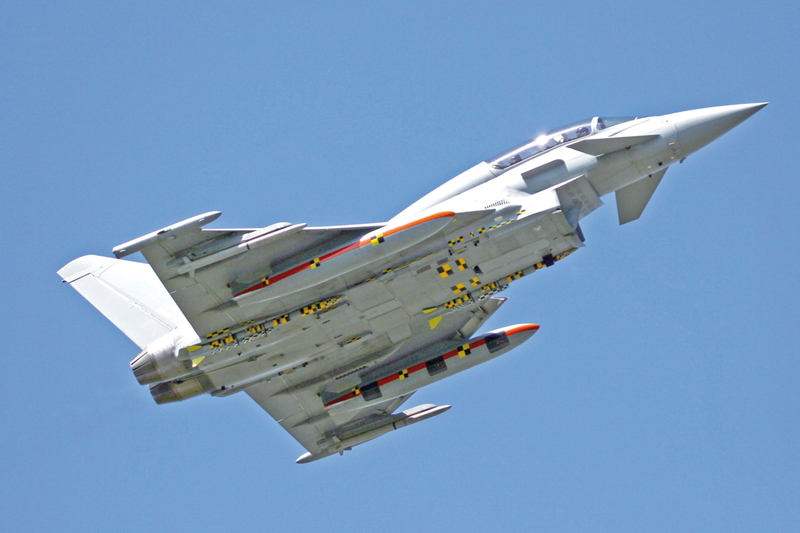 In September 2015 the UK agreed to a $462-million contract with MBDA to manufacture new ASRAAMs for the RAF and thereby entirely replenish existing stocks. The MICA-EM AAM entered French Air Force service aboard the Mirage 2000-5 in 1999 and was fully integrated on the Rafale-F3B/C/M in July 2000. The MBDA MICA (Missile d’Interception, de Combat et d’Autodéfense/Interception, Combat and Self-Defence Missile) began life in 1982 as a private venture by erstwhile defence contractor Matra, and is unusual among current Western missiles in that it is available with either an active radar or Imaging Infrared (IIR) seeker. By 2009, MBDA had received 3000 orders for the MICA, and deliveries have been made to France, Greece, Qatar, Taiwan and the UAE. By 2005 France had ordered 840 MICA missiles, of which 263 had been delivered by the end of that year. The 1000th MICA was delivered in October 2010. By that time, France had 1100 missiles on order. The MICA is also included in India’s ongoing Dassault Mirage-2000H/TH fighters upgrade, which will see 493 missiles acquired as part of a $1.18-billion package expected to be delivered over the next ten years. Beyond MICA, the ramjet-powered, MBDA Meteor offers a very long range in excess of 161.9 nautical miles/nm (300 kilometres/km) combined with active radar guidance. 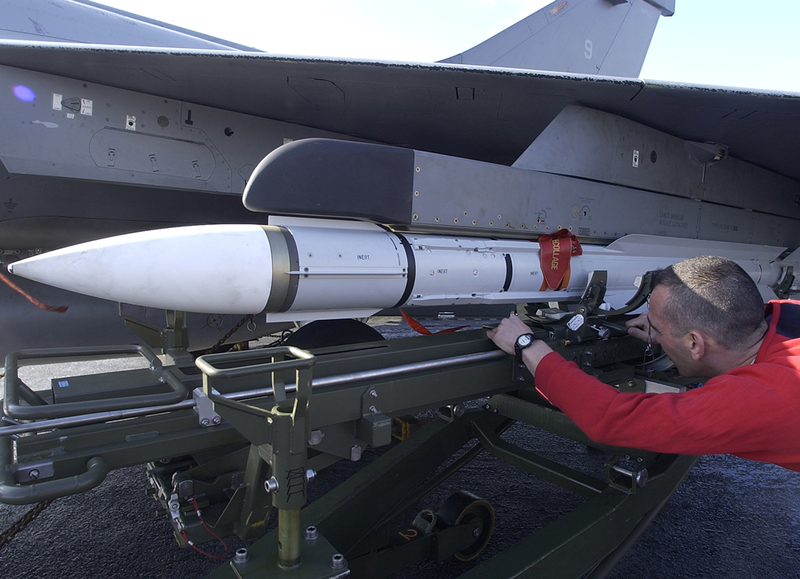 The programme is led by MBDA, with the UK as lead customer, but the weapon is also being acquired by France, Germany, Italy, Spain and Sweden. The Meteor is initially being integrated on the Flygvapnet (Swedish Air Force) Saab JAS-39C/D Gripen fighter, which will declare IOC with the weapon in 2016. The RAF Eurofighter Typhoon fighter is also due to undergo Meteor integration by the end of this year. Thereafter, the Meteor will be cleared for use on the Dassault Rafale-B/C/M Standard F3 fighter and the F-35B. MBDA is currently working with Mitsubishi Electric on future seeker technologies, using know-how transferred from Japan. Ultimately, this may yield a new version of the Meteor to arm the F-35B, which has also been ordered by Japan. Another European missile product, the IRIS-T is a multinational programme led by Diehl BGT Defence. This advanced short-range missile equipped with an IIR seeker originated in Luftwaffe (German Air Force) studies of the early 1990s, before the project was given the go-ahead in October 1995. In January 2003 Germany approved funding to launch production for the Luftwaffe and a contract for series production was awarded in December 2004. By 2011 a total of 4000 missiles had been produced, with additional orders received in the meantime. The IRIS-T is currently operated by Austria, Germany (the acquisition of 1250 missiles planned for as long as budgets permit), Greece (350 missiles plus options for another 350), Italy, Norway, Saudi Arabia, South Africa, Spain (700 missiles and 70 training rounds), Sweden and Thailand. 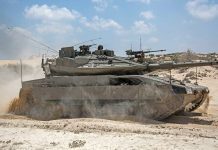 Israel’s long history of developing and producing AAMs is led by Rafael Advanced Defence Systems, which currently markets both short-range and BVR-class weapons. Rafael’s fourth-generation AAM is the Python-4, which superseded the earlier Python-3 in Israeli service from 2007, entering service in 1993-94. The further improved Python-5 was revealed in June 2003. While the Python-5 employs the same airframe, it is equipped with a new IIR seeker. Python-5 development began in 1997-98 and was completed by mid-2003. The missile is in service with Chile, Colombia, Ecuador, Israel and Thailand. In Israeli service, the Python-5 is planned for integration on that country’s F-35I fleet. In May 2008 Rafael announced plans for a Python-6, with design and development to be undertaken as part of the Future Advanced Air-to-Air Missile (FAAM) programme, with the weapon possibly entering service next decade. Unveiled by Rafael in May 2001, the Derby is a BVR weapon with an active radar seeker. Developed clandestinely with South Africa, it shares a common development history with that country’s Denel R-Darter BVR AAM. Although it has not entered Israeli service, the Derby reportedly entered low-rate initial production in July 1998. Operators include Brazil, Chile, Colombia, Ecuador, Singapore and Thailand (unconfirmed). The Derby was also selected for the Indian Navy’s BAE Systems Sea Harrier FRS.51 fighter upgrade, for which an initial batch of 20 missiles was required, although no further work in this regard appears to have taken place. Reports indicate that Rafael has studied a future version of the Derby equipped with a dual-mode seeker. India’s AAM programme was launched in the early 1980s and to date has yielded the Astra family of BVR weapons with active radar guidance. The Astra programme is led by the country’s Defence Research and Development Organisation (DRDO), but various changes to the missile’s design have resulted in significant delays. The improved Astra Mk.II was announced in 2012, but tests began 2006. The Astra Mk.II features a revised configuration, a dual-pulse motor which expands the missile’s range and manoeuvrability during the end game and twice the range of the previous Astra Mk.I (80.9nm/km as opposed to circa 40nm/74km of the Astra Mk.I). Under the latest plans, the DRDO expects to complete the Astra project in December 2016. Initial launch trials are being undertaken using Indian Air Force Sukhoi Su-30MKI aircraft. Away from India, the PRC’s PL-8 is based on the Python-3 (see above), and was developed by the China National Aero-Technology Import and Export Corporation (CATIC) and the Luoyang Opto-Electro Technology Development Centre (LOEC). In domestic use since the mid-1990s, it remains the most capable short-range AAM in widespread Chinese service. The PL-8B that appeared in mid-2005 features an all-aspect seeker, enabling engagement of a target from any angle, and increased range. Described as an ‘improved third-generation’ AAM, the PL-9 is based on PL-8/Python-3 technology. While it employs a LOEC-developed seeker, overall responsibility lies with Aviation Industry Corporation of China (AVIC). The PL-9 has never been seen in PRC service, but has been offered for export. Confirmed users are Bangladesh, Namibia and Nigeria, while Iran and Pakistan are possible recipients of the weapon. 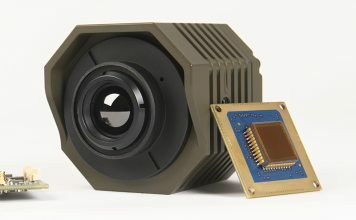 China’s new-generation short-range IR-guided AAM is the PL-10, developed by LOEC. First sighted in 2013 on board a Shenyang J-20 fighter, development began in 2005 and a test round was launched from in 2010. The PL-10 entered initial production in 2012 and can be expected to arm the J-20 and other new-generation Chinese fighters. The picture as regards Chinese medium-range AAMs is more confused, at least in terms of the latest developments. Two established in-service weapons are the PL-11 and the more advanced LOEC PL-12. The PL-11 employs Semi-Active Radar Homing (SARH) and technology derived from the Raytheon AIM-7 Sparrow family of AAMs. The PL-11 is a product of the Shanghai Academy of Spaceflight Technology (SAST), part of the China Aerospace Science and Technology Corporation (CASC), and development was completed in 2000. The missile is in Chinese service alongside the PL-12 and is available for export as the FD-60. The PL-12 was first deployed by the PRC in mid-2004 and has also been exported as the SD-10, initially to Pakistan. Variants include the PL-12C adapted for internal carriage in the J-20, the slightly improved SD-10A offering a longer range of up to 53.9nm (100km), and a possible version with a dual-mode seeker performing active and passive radar homing. A ramjet-powered version (reputedly designated PL-12D) is also under development. The PL-15 designation has been used to describe another long-range weapon, this time with a dual-pulse rocket motor, and with Active Radar Homing (ARH), where the missile’s own radar guides it to its target. While the enigmatic PL-15 is perhaps derived from the earlier PL-12C/D, China aerospace analyst Andreas Rupprecht expects the forthcoming PL-21 to be an even more advanced “clean sheet of paper” design and to offer a much greater range, perhaps as long as 215nm (400km). Like the PL-12D, the PL-21 will be another ramjet-powered weapon. Beyond the PRC, Brazil has entered the AAM domain with the Mectron MAA-1 Piranha. The basic MAA-1A Piranha-1 was approved for production in June 2003, with deliveries to Brazil thought to be ongoing. The MAA-1A has reportedly been delivered to Pakistan, which may also order the improved MAA-1B Piranha-2. The MAA-1B upgrade programme was announced in 2006 and guided firings began in mid-2010. Once planned to achieve service entry with the Força Aérea Brasileira (FAB/Brazilian Air Force) at the end of 2014, the programme has faced serious delays, with no information released regarding a possible service entry date. Brazil and South Africa are now working closely together to develop new and existing AAMs. In February 2006, Mectron announced an industrial partnership with South Africa’s Denel, with the aim of further developing and manufacturing the short-range A-Darter, with an initial investment of $52 million. In March 2007, Mectron and Denel began joint development, and in December 2012 Brazil announced plans to build the missile locally. Plans exist for extended-range A-Darter Mk.2 and Mk.3 versions, with improved guidance. The A-Darter is expected to be deployed on South African Air Force JAS-39C/D Gripens from around 2018, and the weapon will also be integrated onboard the new FAB JAS-39E/F fighter. In 2013 Denel revealed the Marlin, a new AAM with BVR capability intended for South Africa and Brazil. Powered by a dual-pulse motor, this weapon is planned to complement the A-Darter and provide a successor to South Africa’s R-Darter (now retired) and Brazil’s Derby missiles. Further flight tests of this weapon are expected to occur this year. 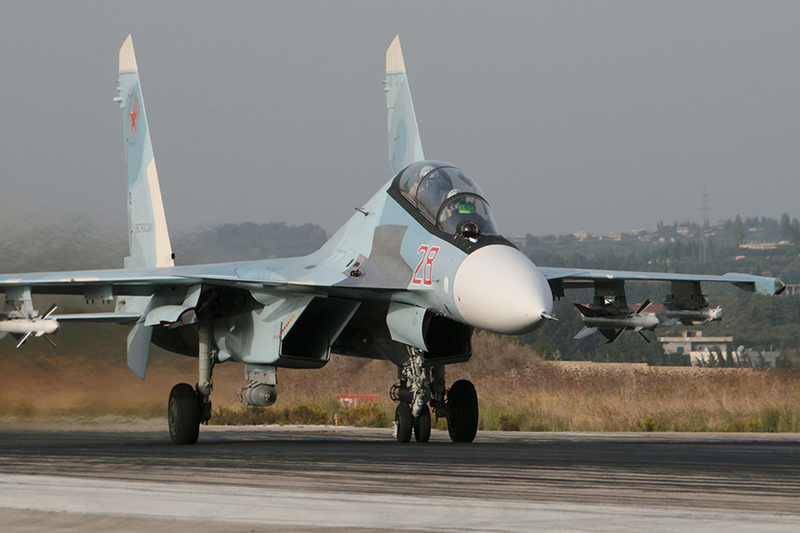 Russia’s combat aircraft continue to be armed almost exclusively with AAMs till date from the latter years of the Cold War, and most new projects since then have been hamstrung by a lack of funding. The Vympel R-73 remains the standard short-range Russian AAM, and entered service in the early 1980s. Since 1992, around 10000 examples have been built for export, but almost none have been completed for domestic service. Operators for which missile numbers are available include Algeria (up to 800 missiles), Bangladesh (around 96), the PRC (3300), India (4080), Malaysia (366), Myanmar (60), Venezuela (150), Vietnam (around 200), Yemen (176), and the US (100 for evaluation). An effort to replace the R-73 resulted in the Vympel R-74M equipped with a new IIR seeker, and this weapon officially entered Russian Air Force service in October 2012. Since the seeker was provided by the Arsenal Company of Kiev, Ukraine, development stalled as relations between the countries broke down following the commencement of the Ukraine Civil War in 2014. Plans were laid to introduce a Russian-made seeker, but as of 2014 this had not yet become available. Since the R-74M is restricted to external carriage, the Vympel K-74M2 is under development for internal carriage by the Sukhoi PAK FA fifth-generation fighter. The weapon has not yet been publicly revealed, but is likely to be undergoing testing. Development of the Vympel R-27 medium-range AAM began in the mid-1970s, but series production is carried out exclusively by the Artem factory in Kiev. 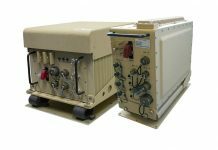 Available in SARH, IR -guided and passive-seeking versions, meaning that the missile homes in on its target’s radar emissions, and with single- or two-stage motors, the R-27 is used by over 25 countries. The successor to the R-27 is the Vympel R-77 ARH AAM. At least 4000 examples have been produced and operators include Algeria (around 400 missiles), the PRC (around 1500), Eritrea, India (1600), Indonesia, Malaysia, Peru (30), Russia, Venezuela (100), Vietnam and Yemen. The improved R-77-1 version entered production around 2010 and features improved aerodynamics and an upgraded seeker. A more extensive upgrade is found in the K-77M, also intended for internal carriage in the PAK FA fifth-generation fighter. Test rounds are in production and the weapon features a new seeker and a dual-pulse motor. Vympel is also known to be working on a ramjet-powered BVR missile and a separate, next-generation successor to the K-77M. In 2014 Russia launched production of a new, heavy long-range AAM to arm the Mikoyan MiG-31BM air superiority fighter and replace the previous Vympel R-33. Equipped with ARH and a dual-pulse motor, the Vympel R-37M is available for export and can be carried by Sukhoi Su-27/30//35 family of fighters and the Mikoyan MiG-35 air superiority fighter. Looking beyond the R-37M, Vympel is working on the Izdeliye 810 project, which will arm the PAK FA with a new long-range AAM. While the tendency in recent years has been towards a standardisation of Western fighter aircraft and their armament subsystems, leading to a reduction in the number of different Western AAM programmes, globally, the demand for aircraft armament remains as strong as ever. What is more, a rejuvenation of Russian combat aircraft procurement and successive developments in terms of new fighters from the PRC look set to ensure that the requirement for ever more advanced AAMs will continue, both to arm these aircraft and those that will counter them. 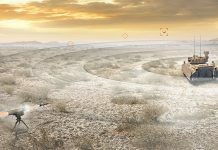 While Western fighters will have to choose from advanced versions of the AMRAAM and the Meteor as their primary air-to-air weapons, it is notable that Brazil, China, India and South Africa, as well as Russia, a more established player in the field, are all now offering BVR weapons of their own design. 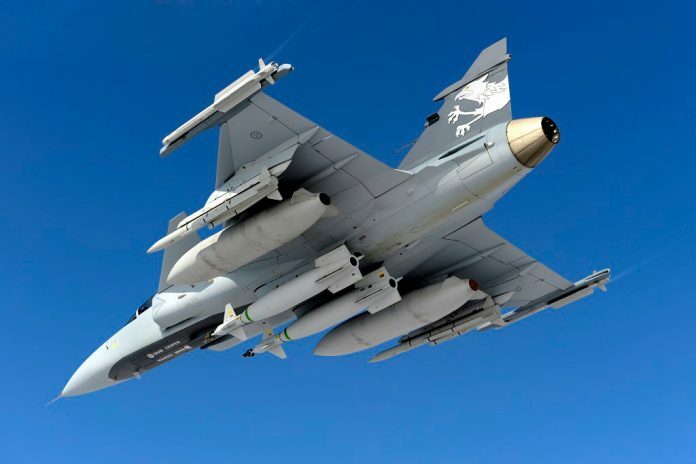 While it is unlikely that these will be able to seriously threaten the dominance of products from Raytheon and MBDA, they are likely to find favour as part of fighter weapons upgrade packages, an area in which Israel and South Africa have both achieved notable success in the past.